For me, getting a new client is exciting and fun — I get to learn about a new destination, setup brand-new marketing campaigns and improve results. One of the very first things I do when I start to work with a new client is gain access to their Google Analytics profile. Over the years, I’ve seen every common (and some not so common) mistakes and errors when setting up this powerful tracking tool. However, the most common area I see mistakes is sadly a critically important area: incorrect goal tracking. Put simply, goals are actions taken on your website that result in a desired outcome. For example, when a guest visits your website and fills out a form to contact you about a property, that can be tied to a goal in Google Analytics. Tracking goals in Google Analytics allows for you to see where your leads (not just website traffic) are coming from and the relative strength of each marketing channel driving results to your rental business. Before we dive into specifics, I have a general rule of thumb I think is worth sharing. While my opinion on goals may differ greatly from the Google-given definition, I have a good reason for it. Promise. Goals can only occur when a conversion occurs: personally identifying information is transferred from the guest to the property manager. Smart Goals uses machine learning to examine dozens of signals about your website sessions to determine which of those are most likely to result in a conversion. While I see the tracking area that Google is attempting to nail down, I’m here to tell you they vastly overestimate the impact of their ‘machine learning’ and how it coverts to actual conversions. A goal can only be a goal when you, the vacation rental manager or host can take action on the information gained. Thousands of people visit my website monthly, but just a handful turn into leads — assigning a value in Google Analytics to a reader because they read seven articles isn’t helpful for my business. The same can be said for many different types of engagement goals that many website owners have set up. Data based on time on site, pages viewed and other soft metrics can be useful to track and monitor over time, but they should not be setup as conversions in Google Analytics. I know what you’re thinking — what should I do if I have setup a goal using a soft metric previously? Turn it off. The only chance of your data being useful moving forward is to turn them off and set it up properly moving forward. This will make year-over-year comparisons in Google AdWords and other platforms less-than-accurate. We’ll just have to deal with it. Now that you know what a Google Analytics goal is and how to think about them, let’s dive into common ones to setup and track in your own profile for your website. Tracking every lead we get easily with Google Analytics. 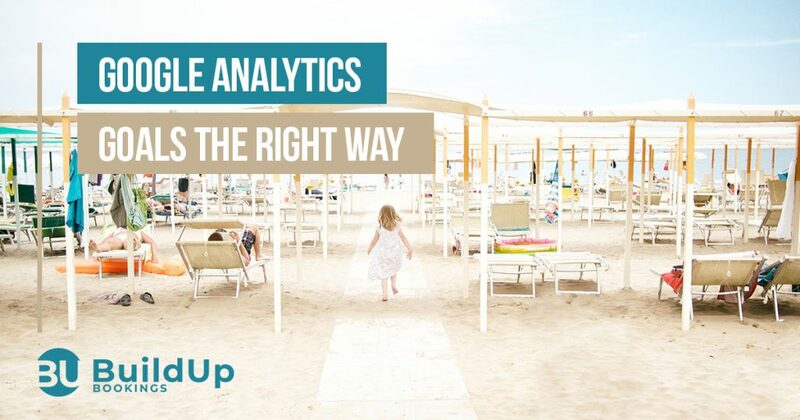 Based on our above, rule, you’re probably thinking of a few goals to setup in Google Analytics already. To help get you jump-started, here are some common goals I setup for my accommodations clients. Based on your exact website layout and collection points for contact information, you may have some additional places to setup goals from. However, consider this a blueprint for setting up your goals in Google Analytics — on average, I have around 5-10 goals setup within a single profile. Setting up this tracking varies a lot from website to website, but the simplest way to use goals in Google Analytics is with thank-you pages. This is a dead-simple form of tracking that states when a visitor makes it to a certain page (after successfully filling out a form, for example), fire a goal in Google Analytics. For many of my clients this is easy to setup with their CMS and vacation rental software of choice. More advanced Google Analytics tracking could use events to fire when actions take place. Using simple code snippets on your form buttons will allow for you to setup this tracking without the need for a ‘thank-you’ page, which can be jarring to the guest who may prefer to stay on each property page. It’s best to check with your website developer on the specifics of your particular forms and code layout. Check out the official Google Analytics help page for more information. Example ecommerce tracking solution added. While the above goals primarily focus around leads or inquiries, there’s one that’s better than the rest: bookings! If you take online bookings, tracking revenue from conversions is the most important data you’ll measure in Google Analytics. While knowing that your ad spend in Bing Ads, Google AdWords or Facebook is converting into bookings is a great feeling, larger property or vacation rental managers may have bookings happen every day with vastly different revenue per booking. One client of mine manages small two-bedroom condos and large oceanfront estates — a conversion on the former may be around $1,200 in rent while the latter could exceed $15,000. Knowing the precise amount of each booking from each channel is excellent data to have at your fingertips. However, sadly, many vacation rental plugins and template websites don’t support this key feature. While you’ll have to ask your particular provider, I’ve had issues with Kigo and Streamline not having this tracking feature. On the flip side, LiveRez supports Google Analytics ecommerce tracking (you’ll have to enable this setting in Google Analytics) as does Escapia Software websites. If you have a custom-build website, you can always interface with your web developer if they can setup this important tracking information. Having this tracking in place means the difference between seeing just the number of bookings and the revenue from bookings in your reporting. I’d highly reccomend that you setup this tracking if at all possible and use it to optimize your marketing campaigns across every channel. Import Google Analytics ecommerce to see cost/bookings reports. While using goals just within Google Analytics is a great first step, the real power can come from tracking your results in paid media channels like Google AdWords, Bing Ads and display platforms like AdRoll. Using the deep connection between AdWords & Analytics will make this job really easy. Linking together these platforms is as easy as a few clicks and we can even track some goals in AdWords that we can’t in Analytics. Importing goals just takes a few clicks and saves you from having to setup any extra tracking codes from Google AdWords that can take up extra time. 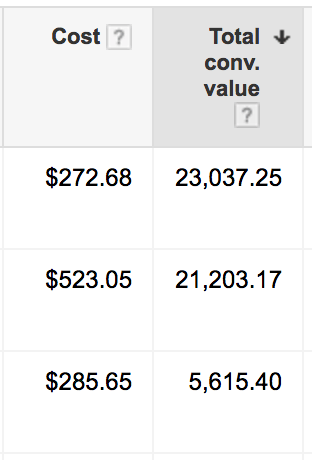 I highly reccomend leveraging the connection between Google Analytics and Google AdWords to use for conversion tracking in that platform. If you are running any paid ads in Google AdWords, you owe it to yourself to see how well your ads are performing! Questions? Drop a comment below and I’m happy to help. I'm a digital marketing strategist that aims to create winning marketing campaigns for hospitality clients (vacation rental managers, B&B owners, resorts & boutique hotels). Specializing in search marketing, social media advertising & email marketing, let's grow your direct bookings together. Great post. I’ve been meaning to write something similar. We get tonnes of requests at Rentivo to install Google Analytics tracking. The biggest challenge for independent website owners that aren’t using software is setting up the correct events in their code. Landing page tracking isn’t always possible. Thanks, Danny! Looks like I got you this time 😉. I agree, landing page tracking can be a simple way to do it, but some software/plugins don’t support it. For these template solutions, I confident the best solution is to have Google Analytics event tracking on form submit — can use the same code on every site deployed without issue. Then, just a matter of each website owner setting up the goal. With some simple screenshots I feel most will be able to get this up and running. 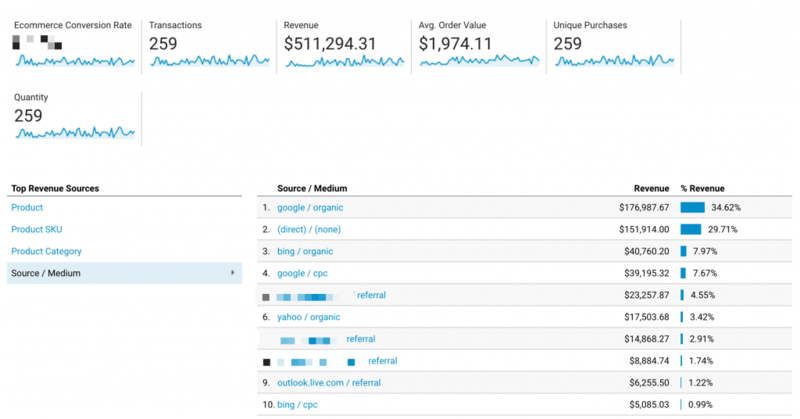 Google Analytics tracking is huge! At OwnerRez, we’ve had that for awhile, but we’ve recently added the eCommerce tracking which is very cool. We recently added FB tracking pixel as well, but haven’t got much traffic with that yet. Anyone else have an indication if it’s useful, or mostly just providing a signal for ad management on FB, retargeting ads, etc? Good to hear on the ecommerce tracking – that is going to help your owners/managers see more actionable data on their marketing dollars. On the Facebook Pixel, you can setup more narrow goals/actions than Google Analytics. For example, you can track if an ad click from Facebook resulted in the guest searching their dates or inquiring. The Facebook Pixel is quite powerful and is both a tracking tool as well as a tagging tool (for remarketing as you mention). The Facebook Pixel also has feedback under Ads –> Manager –> Pixel –> Events once you add in the code needed for these events. Very powerful for anyone running clicks from Facebook to their website!